The key term here is flexible. 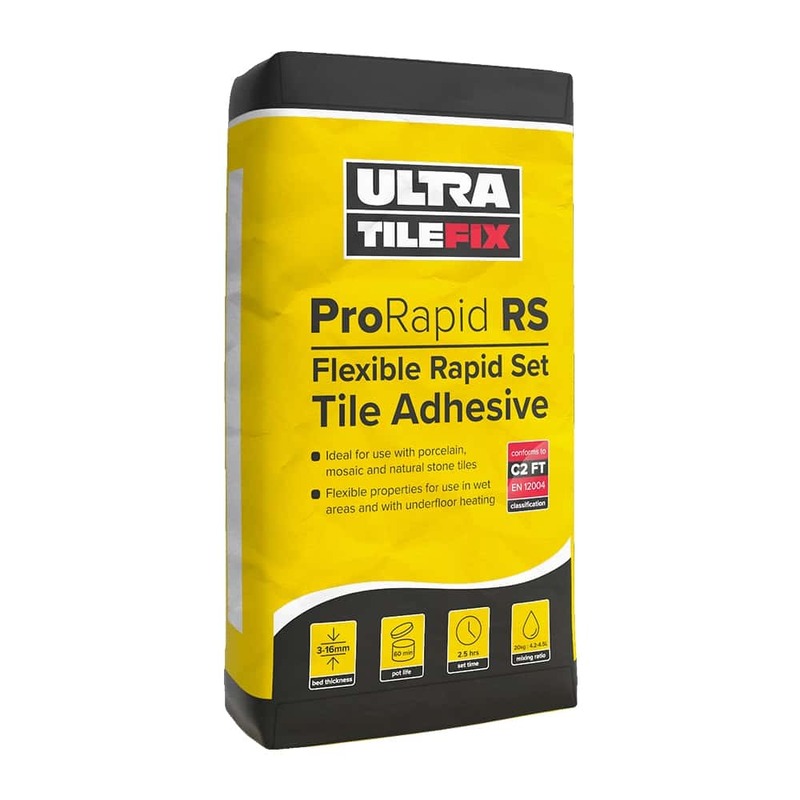 The tile adhesive must be flexible as it will need to expand and contract with the heat from the underfloor heating system. The 20kg bag will cover about 6sqm’s for tiles and about 4sqm’s of insulation boards. 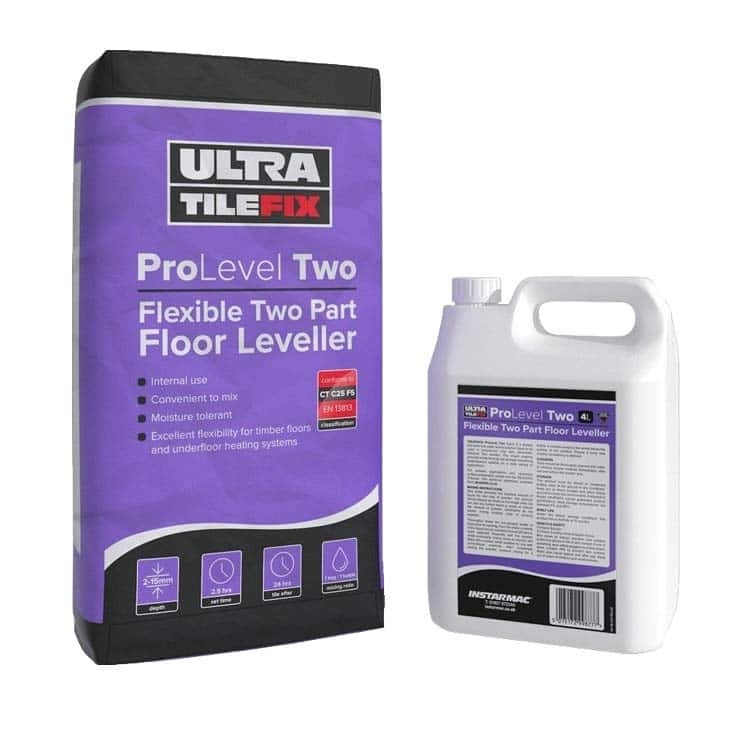 Dependent on both the depth of adhesive and the conditions of the sub-floor. The self-leveling compound is simple and easy to use. Add the bag and bottle together and it will create the perfect liquid, which you pour onto the heating cables. And the compound sets as a smooth concrete. This has two benefits it creates and even conduction of heat and also protects the heating cable during the tilling process.